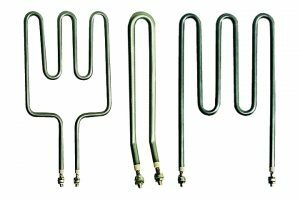 The sheathed heating element is a quasi-universal solution used to heat solids, liquids or gases through the Joule effect up to 800°C. 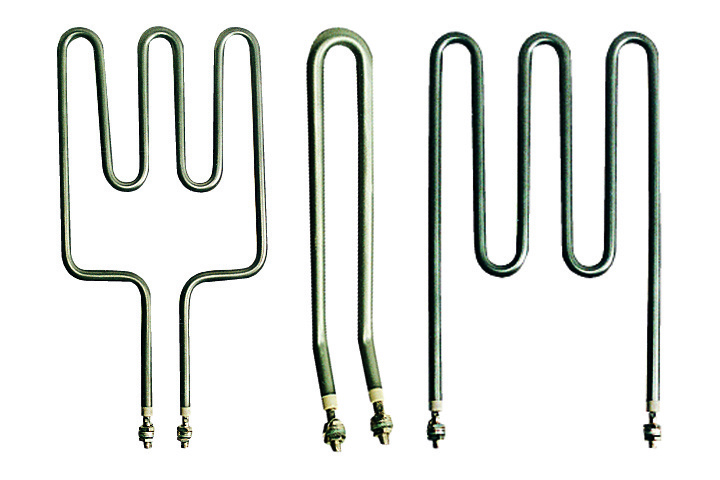 It is a component of immersion heaters for the heating of fluids by natural or forced convection. Housed in a drilling or held against a part, it transfers its energy by conduction or when the temperature of the heating element is raised to a high temperature (>700°C), the energy is in this case transferred by infrared radiation for remote heating through the air. 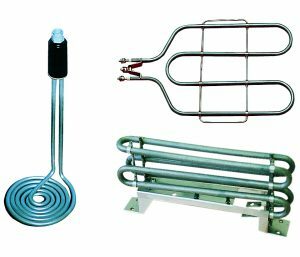 Heating elements are made of a metallic tube containing a resistive wound wire coil. Electrical grade magnesia powder provides electrical insulation between the coil and tube. The external metallic sheath with diameter Ø 6.8, 8, 8.5, 10.2 or 16 mm, available in various materials compatible with the fluid to be heated (carbon steel, stainless steel, Incoloy®, etc.) ensures watertightness and good shock and vibration resistance. They can be connected to the power supply via cables (waterproof or high temperature resistant) or by terminals (threaded, spade, Faston or hexagonal). 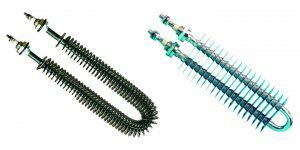 Vulcanic sheathed heating elements can also be equipped with threaded union, pad or fixing clamp. For air heating applications, fins are installed along the length of the straight or U-shaped heating elements in order to improve heat exchange. This assembly is known as a finned strip heater. Vulcanic sheathed heating elements may be delivered straight or shaped according to specific requirements. 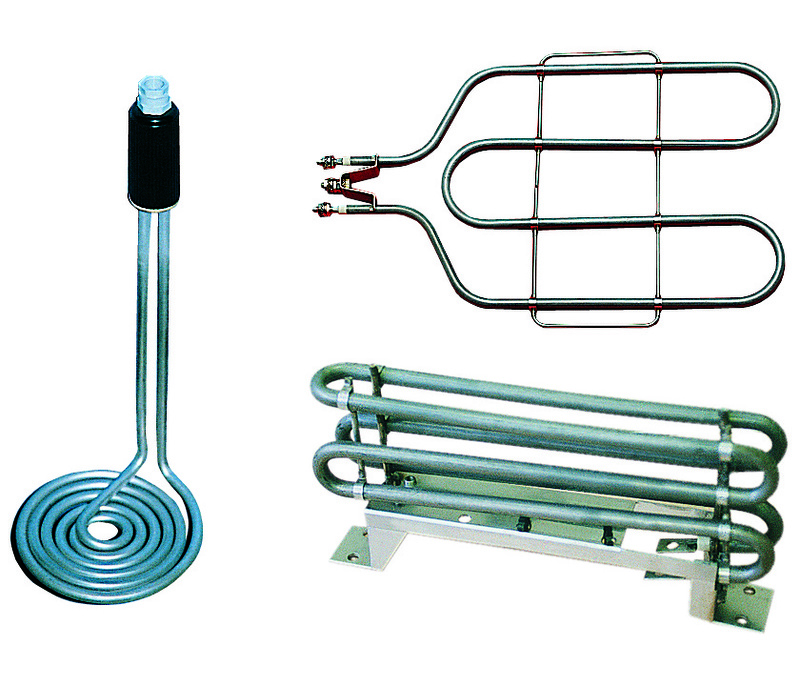 Vulcanic also manufactures customised heating elements according to drawings or models.